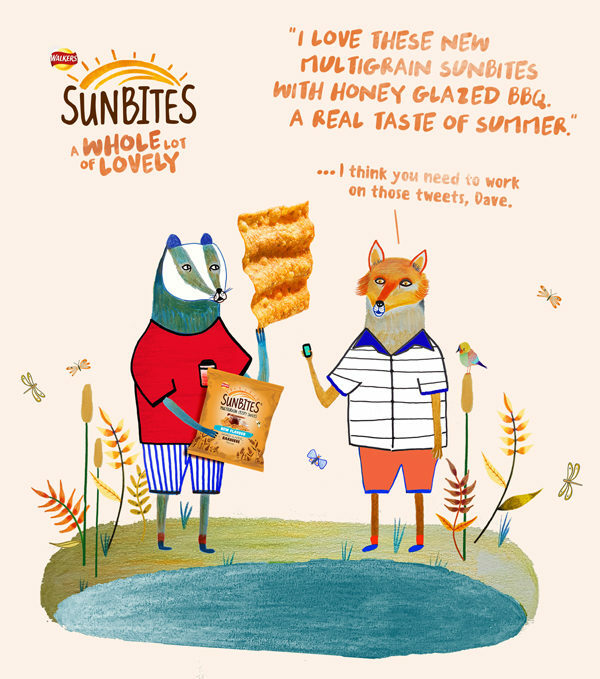 I was asked to create illustrations that would be used to advertise the new Sunbites snack collection. My illustrations were animated and shared on social media. I graduated from Falmouth University in 2010, Since then I have had my artwork licensed for a range of products including kids wall decor, stationery, logo designs, album artwork, … Show more. Send a message directly to Ashley Percival. I graduated from Falmouth University in 2010, Since then I have had my artwork licensed for a range of products including kids wall decor, stationery, logo designs, album artwork, women's fashion, greeting cards, children's clothing, and home-ware. I get most of my inspiration from wildlife and nature, the rest comes from imagination. My artwork is suitable for all ages! I have recently started illustrating more people, fashion illustrations and character designs.